^ (2004年) Various Artists『To The King』のアルバム・ノーツ [CD]. 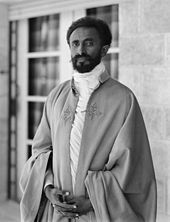 USA: Lion of Zion Records. ^ a b c Barrow, Steve (1998年). Johnny Clarke『Dreader Dread 1976 - 1978』のアルバム・ノーツ [CD, PDF]. イギリス: Blood & Fire. ^ Various Artists『Take Me To Jamaica』のアルバム・ノーツ. イギリス: The Pressure Sounds. ^ French, Howard W. (1991-05-13). “Celebrating Bob Marley, Voice of the Dispossessed”. New York Times (New York Times). 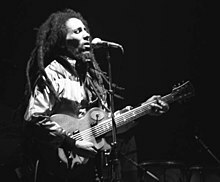 http://www.nytimes.com/1991/05/13/arts/celebrating-bob-marley-voice-of-the-dispossessed.html 2010年9月2日閲覧。. ^ South by Southwest (Austin American-Statesman): p.18. (3 1992). O'Brien Chang, Kevin; Chen, Wayne (1998). Reggae Routes. Ian Randle Publishers. ISBN 976-8100-67-2. http://books.google.co.jp/books?id=felkD8CI97sC&printsec=frontcover#v=onepage&q&f=false. Barrow, Steve; Dalton, Peter (2004) . The Rough Guide to Reggae (3rd edn. ed.). Rough Guides. ISBN 1-84353-329-4. Prahlad, Sw. Anand (2001). Reggae wisdom: proverbs in Jamaican music. University Press of Mississippi. ISBN 978-1578063208. http://books.google.co.jp/books?id=goNpkxHhH48C&printsec=frontcover&source=gbs_navlinks_s#v=onepage&q=&f=false 2010年8月21日閲覧。. Habekost, Christian (1993). Verbal riddim: the politics and aesthetics of African-Caribbean dub poetry. Editions Rodopi. ISBN 978-9051835496. http://books.google.co.jp/books?id=GNXMnX6ZMEgC&printsec=frontcover&source=gbs_navlinks_s#v=onepage&q=&f=false 2010年8月21日閲覧。. Archard, Chuck (1998) (Book & CD). Building Bass Lines. Alfred Pub Co. ISBN 978-0882849225. http://books.google.co.jp/books?id=xFs8i_FRzRsC&printsec=frontcover&source=gbs_navlinks_s#v=onepage&q=&f=false 2010年9月24日閲覧。. Moskowitz, David Vlado (2005). Caribbean popular music: an encyclopedia of reggae, mento, ska, rock steady. Greenwood Pub Group. ISBN 978-0313331589. http://books.google.co.jp/books?id=dDKfGRCq73cC&printsec=frontcover&source=gbs_navlinks_s#v=onepage&q=&f=false 2010年8月23日閲覧。. Veal, Michael E. (2007). 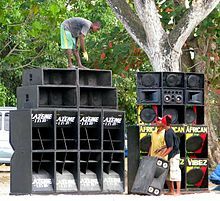 Dub: soundscapes and shattered songs in Jamaican reggae. Wesleyan University Press. ISBN 978-0819565723. http://books.google.co.jp/books?id=rveYGxIUD4oC&printsec=frontcover&source=gbs_navlinks_s#v=onepage&q=&f=false 2010年8月21日閲覧。. Doumerc, Éric (2003). Caribbean civilisation: the English-speaking Caribbean since independence. PU MIRAIL. ISBN 9782858166992. http://books.google.co.jp/books?id=0fbi4sbdp6QC&printsec=frontcover&source=gbs_navlinks_s#v=onepage&q=&f=false 2010年8月21日閲覧。. Turner, Michael; Schoenfeld, Robert (2003). Roots Knotty Roots -The Discography Of Jamaican Music- (4th Edition ed.). Nighthawk Records. ISBN 978-0970966322. Cassidy, Frederic Gomes; Le Page, Robert Brock (2003) . A Dictionary of Jamaican English. University of West Indies Press. ISBN 978-9766401276. http://books.google.co.jp/books?id=_lmFzFgsTZYC&printsec=frontcover#v=onepage&q&f=false 2010年8月21日閲覧。. White, Timothy (2000). Catch a Fire: The Life of Bob Marley. Henry Holt & Co.. ISBN 978-0711983908. http://books.google.co.jp/books?id=2PzSaIsGNLEC&printsec=frontcover#v=onepage&q&f=false 2010年8月21日閲覧。. Thomas, Polly; Vaitilingam, Adam & Brown, Polly Rodger (2003). The rough guide to Jamaica. Rough Guides. ISBN 978-1843531111. http://books.google.co.jp/books?id=0VtoMtLSaJUC&printsec=frontcover&source=gbs_navlinks_s#v=onepage&q=&f=false 2010年8月23日閲覧。. Acland, Charles R. (2007). Residual media. Minnesota Press. ISBN 978-0816644728. http://books.google.co.jp/books?id=_wLPo51YIWEC&printsec=frontcover&source=gbs_navlinks_s#v=onepage&q=&f=false 2010年8月21日閲覧。. Murrell, Nathaniel Samuel; Spencer, William David & McFarlane, Adrian Anthony (1998). Chanting down Babylon: the Rastafari reader. Temple University Press. ISBN 978-1566395847. http://books.google.co.jp/books?id=iesWzLHb_GUC&printsec=frontcover&source=gbs_navlinks_s#v=onepage&q=&f=false 2010年8月21日閲覧。. Makoni, Sinfree (2003). Black linguistics: language, society, and politics in Africa and the Americas. Routledge. ISBN 978-0415261388. http://books.google.co.jp/books?id=vqLMKU8iNq8C&printsec=frontcover&source=gbs_navlinks_s#v=onepage&q=&f=false 2010年8月21日閲覧。. McGowan, Chris; Pessanha, Ricardo (1998). 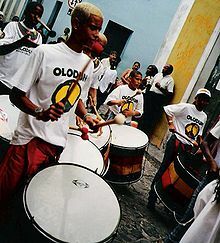 The Brazilian sound: samba, bossa nova, and the popular music of Brazil. Temple University Press. ISBN 978-1566395458. http://books.google.co.jp/books?id=7MFD-EoTR7MC&printsec=frontcover&source=gbs_navlinks_s#v=onepage&q=&f=false 2010年8月22日閲覧。. Coyle, Rebecca (2006). Reel tracks: Australian feature film music and cultural identities. John Libbey & Co Ltd. ISBN 978-0861966585. http://books.google.co.jp/books?id=G8BADHUuJyAC&printsec=frontcover&source=gbs_navlinks_s#v=onepage&q=&f=false 2010年8月23日閲覧。. Iyassu Menelik, Girma Yohannes (2010-10). Rastafarians: A Movement Tied With A Social And Psychological Conflicts. Grin Verlag. ISBN 978-3640440115. http://books.google.co.jp/books?id=pqZiLkwJFMgC&printsec=frontcover#v=onepage&q&f=false 2010年8月26日閲覧。. Brewster, Bill; Broughton, Frank (2000). Last night a dj saved my life: the history of the disc jockey (1st.American edn ed.). Grove Pr. ISBN 978-0802136886. http://books.google.co.jp/books?id=wwWMACzSNvUC&printsec=frontcover#v=onepage&q&f=false 2010年8月26日閲覧。. Masters, Tom; Carillet, Jean-Bernard (2007). Mauritius, Réunion & Seychelles. Lonely Planet Publications. ISBN 978-1741047271. http://books.google.de/books?id=x6dxoKuhDIIC&printsec=frontcover&client=firefox-a&hl=ja&source=gbs_navlinks_s#v=onepage&q=&f=false 2010年8月26日閲覧。. Hedman, Eva-Lotta E.; Sidel, John T. (2001). Philippine Politics and Society in the Twentieth Century: Colonial Legacies, Post-Colonial Trajectories. Routledge. ISBN 978-0415147910. http://books.google.co.jp/books?id=PlvjHu1wktQC&printsec=frontcover#v=onepage&q&f=false 2010年9月4日閲覧。. Sterling, Marvin (2010-06). 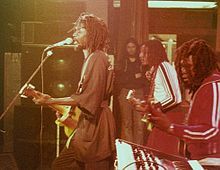 Babylon East: Performing Dancehall, Roots Reggae, and Rastafari in Japan. Duke Univ Pr. ISBN 978-0822347224. http://books.google.co.jp/books?id=znUFvcez9gAC&printsec=frontcover#v=onepage&q&f=false 2010年9月9日閲覧。. Walker, Klive (2005-12-30). 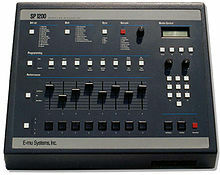 Dubwise: reasoning from the reggae underground. Insomniac Pr. ISBN 978-1894663960. http://books.google.co.jp/books?id=0UW6r3mE3gsC&printsec=frontcover#v=onepage&q&f=false 2010年9月9日閲覧。.